As a professional Destination Management Company (DMC) and an Incoming Agency for Germany and Austria, INBOUND Services provides creative and custom-made travel solutions. Our goal is to deliver first class quality and to guarantee the best services to meet your high expectations. Since 2001 INBOUND Services has gained tremendous experience in Destination Management in Germany and Austria. Over the years, strong relationships with suppliers have been built up, and INBOUND Services has become a reliable partner for them, guaranteeing the delivery of excellent services through our motivated team of project managers. With INBOUND Services you have the right partner at your side! Our project management teams are constantly working on increasing destination know-how and discovering new products and exciting ideas. All the information is available in our database system and easy accessible for all our colleagues. The professional reservation system lets us work efficiently and quickly on offers and projects. Today, a DMC has to be more than just a supplier of tourist services - it must become a partner in organization, your colleague on the other end of the line. You give us the information, we organize all parties in a smooth and easy way! Every request is treated individually and analyzed for the selection of the right partners. This requires time, know-how and experience, and we will do our utmost to deliver the best possible services to create a matching offer. It's a question of budget, standards and expectations. What is the exact purpose of this specific trip or event, who are the participants, what age group? There are many questions and the more input we get from you, the better we can be at your service! In order to provide the highest level of professionalism, we have made a commitment to honor and uphold standards and procedures with respect to our clients and suppliers. To us this means being trustworthy and reliable for all parties involved, meeting the expectations of the client and the possibilities of the suppliers in an open and cooperative way. We believe that a successful partnership is based on trust and mutual commitment. At the same time, this includes understanding the effort and the time it takes to research and create offers, and find the right solution for each request. It is the respect of our investment in destination know-how and our connections to suppliers as well as our operating skills. Germany and Austria have a well-developed infrastructure and all areas and cities are easily accessible by car, train or plane. Our head office is located in the beautiful city of Hamburg, and we love living in this city and are proud of it. In Berlin, we have a branch with two colleagues on-site. Our Vienna office covers all of Austria and knows the destination very well, offering you all our services for any destination in Austria. We work for you on all destinations in Germany and Austria, and are happy to be with you anywhere you need us on-site for inspections, pre-tours and of course during projects. INBOUND Services is a member of several DMC associations, which is a statement of our professional attitude and experience, as well as proof of our eagerness to improve and become better every day. PLUS DMC Group is a network of owner-managed boutique DMC’s with unrivalled experience in their respective destinations. 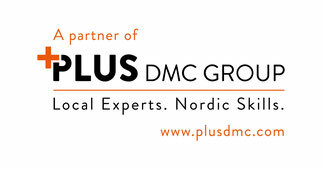 Its well-selected and audited partners are the top European DMC’s specializing in the Nordic markets; working together in order to become the very best DMC’s for Nordic clients. In combination with our DMC’s great local expertise, enormous experience and professional approach, PLUS DMC Group partners guarantee the best from every destination. All partners share the same values and principles! Providing personal service and creative solutions; understanding the Nordic way and mentality and much more, arranging a flawless and perfectly managed program every time. ADMEI is the international voice of the destination management industry and the premier resource for education, standards and practices within the DMC industry/profession. ADMEI has a global presence and a respected reputation for sharing the value of DMCs and is the trusted partner in the certification of destination management professionals and the accreditation of destination management companies. ADMEI establishes DMC standards and best practices, supports excellence and ethical business practices and promotes the value of destination management companies for the meeting industry. The Federal Association of German Incoming Companies and DMCs is an association of incoming agencies and land operators based in Germany. The members serve the international tourism industry by offering their special market and product knowledge on the destination Germany and therefore represent a vital and important segment of the German tourism industry. The association serves as a representative to the German authorities, government and public to strengthen and support the professional interests of DMCs.